ORLANDO, FL. 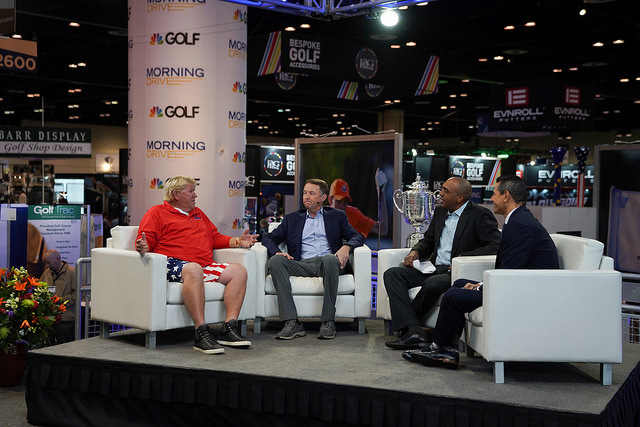 When the 66th annual PGA Merchandise Show concluded January 25 the upbeat atmosphere fuelled by leadership from the host PGA of America was clearly unmistakable. Yet, the euphoria of buying and selling among the 40,000+ attendees and exhibitors from all 50 States and 89 countries was tempered by soft whispers in the aisles and at the various eateries along International Drive adjoining the Orange County Convention Center. Behind the gleaming smiles and firm handshakes there are serious questions hovering about but far from resolved. Since the end of The Great Recession in ’09 the golf industry has seen clear indicators of the future and the prognosis is a sobering one. Much remains to be done and much is far from resolved. Various efforts through an array of actions plans and sponsoring organizations have been brought forward showing some promise but far from ironclad certainties. Golf rounds in America, home to the most courses and players in the sport, was down roughly 5% for 2018 and that trend line does not promise immediate improvement in 2019 and beyond. The spin cited by those in the golf course business arena is that the drop was simply related to poor weather America experienced in 2017. However, there are other clear facts — beyond Mother Nature — that simply cannot be easily explained away. These anchors will weigh even more heavily in the years ahead without sustained attention and creative remedial efforts. Golf course closing have been far outpacing course openings for a number of years now. More than 200 courses closed in the United States in 2017 — with only 15 new ones opening, according to the National Golf Foundation (NGF), a golf market researcher provider, based in Florida. That trend is not abating and for every course closed several more are teetering along the financial abyss. Few facilities ever disclose their actual financial situation until the day of reckoning comes. A few estimates have stated for every course closing roughly 5-6 are in serious peril. During the 1990s, rampant overdevelopment of facilities provided a glut of facilities. The lack of planning simply meant adding more and more courses with the erroneous belief the market would easily handle the excess. Now many of those facilities are desperately in search of new players — facing enormous pressure from golf discounters eager to sell greens fees at a fraction of what was the going rate not that many years ago. Golf participation peaked in America in 2001 — nearly 30 million people played more than 500 million rounds in 2017, according to the NGF, In 2017 the numbers dropped to 24 million players and 450 million rounds. In 2005, there were more than 16,000 — as of 2017 fewer than 15,000.The closures are not relegated to locations off the beaten path but have impacted major metro areas such as New York, Los Angeles, San Francisco and Chicago, to name just a few. Where a number of equity-owned private clubs used to tout waiting lists to join — now these same clubs are groveling as initiation rates have been slashed in order to attract a new generation of players who are seriously questioning the value of country clubs and golf clubs. The most well-heeled and financially solvent of clubs will clearly weather the storm but the severity of the situation is no longer a matter of conjecture for the others who are barely keeping their noses above the growing water line. Yet, there is a potential positive side to the closings happening now. Those courses that do remain after the turbulent waters subside will be more financially viable and have instituted a range of meaningful internal economics to ensure viability for the long run. Facilities with foresight have taken upon themselves to rejuvenate their courses — hiring key architects to demonstrate a resolve to not live in yesterday but for tomorrow. Demographically, the golf industry remains dependent on the involvement of Baby Boomers — those born between 1946 and 1964 — and which constitutes the largest percentage of core golfers — those playing over 50+ rounds per year. Baby boomers, categorized by being overwhelmingly white males have been the sport’s most dominant and active group. 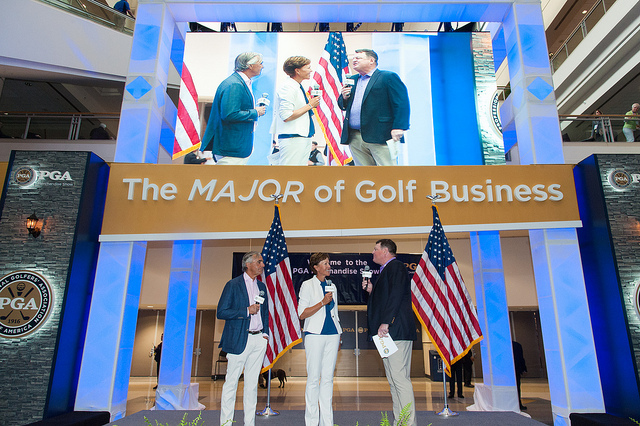 It is this group that has been the biggest spender in all areas tied to the golf industry — whether equipment, apparel and travel destinations. 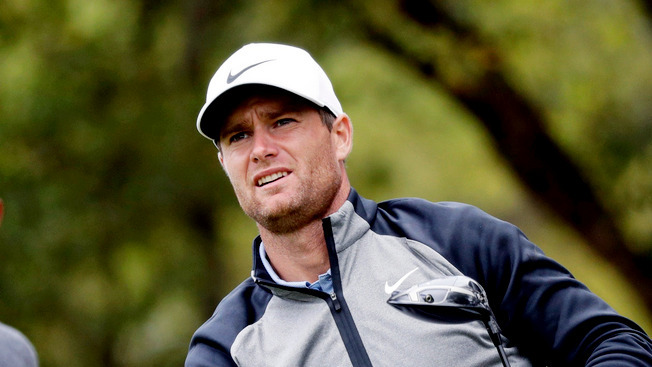 Even though core golfers represent just 25% of the total number of players in America — roughly 4 million — it is this group in which the industry as a whole is bankrolled to the tune of nearly 60%. Until the world economy tanked over a decade ago — key voices within the golf industry continued to make gross assumptions concerning the health of the sport. During the rapid opening of countless courses throughout the 1990’s and continuing past the Millennium there was no deeper understanding of how such a growing portfolio of courses would be able to sustain themselves financially. The growth was fed by erroneous reporting — most notably the NGF– which stated no less than a course a day would have to be opened to sustain the expected surge of players. Neither of those assumptions materialized and the resulting supply of courses still weighs down the market today. 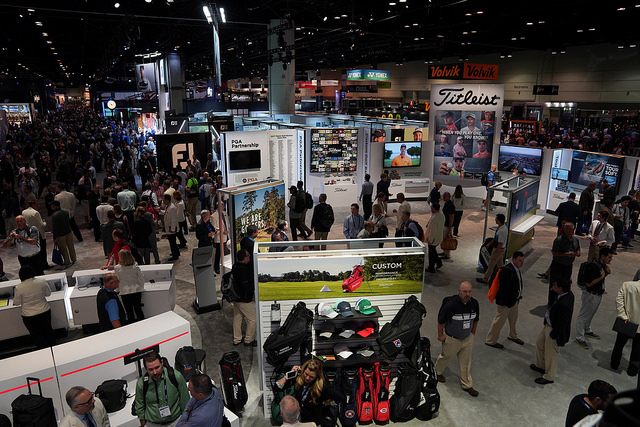 The PGA Show showcases a vast array of new product inventions spanning the full spectrum of the sport. There’s little doubt the far upper reaches of the economic strata will continue to play the sport and it is increasingly this group that a number of equipment companies are targeting for their growth. But the questions remain — is golf turning the corner and is the future of the game on truly solid footing? How long can Baby Boomers be the financial backbone? Is the sport heeding the ominous signs and is it rapidly implementing the appropriate course adjustments — no pun intended. The answer to that is a mixed bag. One in which certain forces are clearly underway — both positive and less so. And there are other elements still being shaped and can have the potential to put the sport in a firmer position in the years ahead. But PXG is not the only one doing so. Honma, the premium brand Japanese company, has done likewise. Ownership of the clubs alone is a status symbol for many within the Asian community and prices are no less set at a premium level for those with the wherewithal to spend. The number one ranked player in the game — Englishman Justin Rose — switched club endorsement from TaylorMade to Honma at the end of last season. 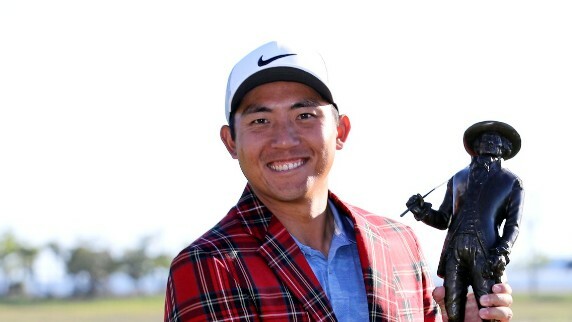 His recent win last week at The Farmer’s Insurance Open boded well for Rose’s bank account and Honwa’s branding plan. 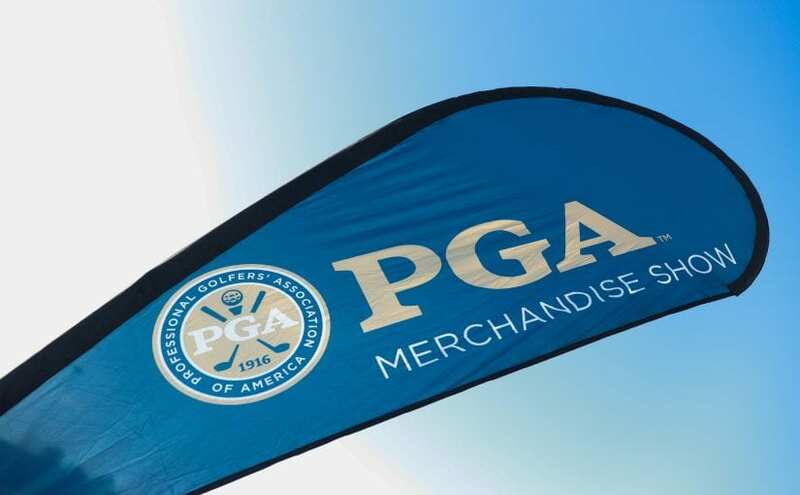 Several golf apparel companies — Bobby Jones, Peter Millar, J. Lindeberg, to name a few — are doing the same marketing efforts — pigeonholing those with no hesitation in plunking down $100+ for a polo golf shirt. To it’s credit J. Lindeberg has aggressively marketed its apparel for a younger generation that wants stylish and more updated apparel. Other companies are following suit. Foot-Joy, the leading golf shoe company by market share, launched in 2018, a new high end premium model shoe — called the 1857. Costs are approximately $750 a pair. On the flip side — Foot-Joy has also added an array of other quality shoes where price points are extremely competitive with its rivals and which seek to be both durable and fashionable. On the golf ball side you have ascending companies such as Cut Golf — pinning their hopes on selling a durable golf ball that won’t put a deep financial hole in your pocket. Sparking the involvement of Millennials — those born in the mid-1980s and carrying through the mid-1990s — is a central theme for many within the golf industry but the results have been mixed thus far. Golf is a game that requires time – a precious commodity for a younger generation that seeks to engage itself in a multitude of endeavors and not be trapped on a course where five hours or more is the norm. There is also the costs associated in playing the game — golf requires a hefty investment in order to get started. Those at the mid to lower points on the economic ladder have not seen golf as a game within their pocketbook reality. There is also the difficulty of the game — being able to play at an enjoyable level has focused squarely on how effective teaching is happening — or not happening. In sum — the patience of past generations to learn a very frustrating game at times — is not an aspect ingrained in the newest generation of players. There have been some clear innovations in order to attract new players. Alternative golf options with Topgolf and Drive Shack leading the way have entered the scene. The former is growing at a rapid rate with multiple locations opening each year — both in America and internationally. Each company offers a mechanism for players to enjoy shared golf entertainment — with a high dosage of mixing food and drinks into a revamped golf driving range scene. No less than 65-70% of the people who have participated with either company have never picked up a club previously. The question remains to be answered — can traditional golf capture a fair percentage of these new players? In many ways golf is equivalent to the situation snow skiing faced over 30 years ago. The rise of snowboarders was looked down by many in the skiing industry initially. Snowboarders were seen as rebels outside the realm of traditionalists. But, as one skiing facility owner said so succinctly — “the snowboarders have the same Andy Jackson on their $20 bill as the others and we are in the industry that needs to cater to those who will spend.” The skiing industry is still facing long term challenges but the desire to adapt is a clear lesson for those in the golf industry to learn from and adjust accordingly. Players now want relaxed dress codes, playing music while on the course and having access to golf boards whisking them around the course. These are just a few of the desires being sought. Clubs hunkering down and appealing only to those who favor the long time traditionalist approach will still remain but the overall numbers is clearly going in a different direction. Change is the price of survival in any industry and golf is no different in that regard. Most importantly, facilities have to demonstrate a clear welcome to women because it is this crucial customer base which golf has shown at best indifference and at worst hostility in years past. 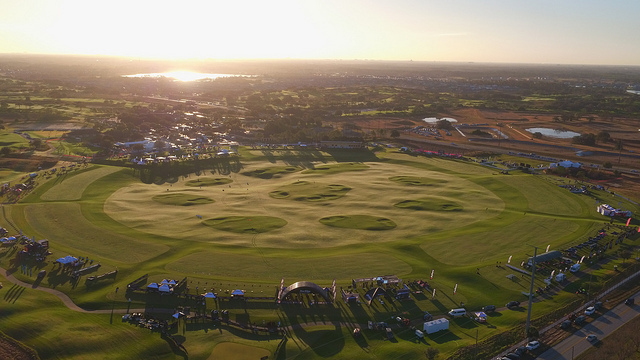 The peak involvement of Baby Boomers is nearing an end and what comes after that for the golf industry is a matter of great concern — with clear unknowns to be determined. 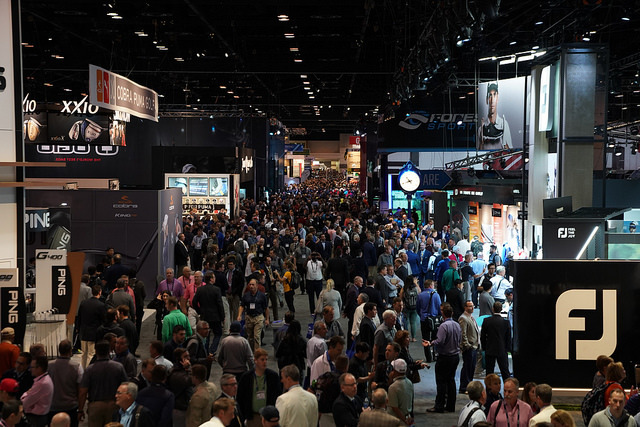 Those gathering at this year’s PGA Show have always promoted a positive glowing account that the health of the game has never been better and that the best days are just ahead. The realities point to a different direction on the road ahead. 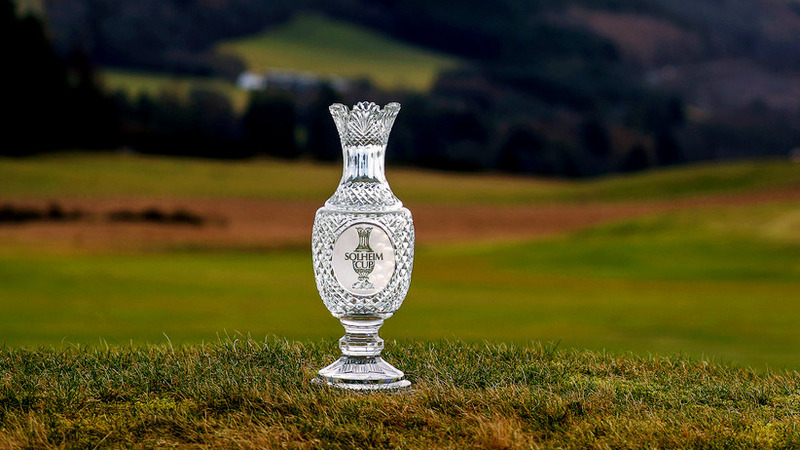 However, various efforts are already underway and showing some positive outcomes— initiatives such as First Tee – are making inroads in attracting a younger and more diverse audience to the virtue in playing the game and the fruits of these labors may indeed reap a healthy bounty of committed long time players. There’s also been a related movement to provide golf rounds lower than the standard 18 holes with 9[hole, 6-hole and other variations available. A few providers have even created pay-by-the-golf-hole set-ups. Simulation golf is also a fascinating area worth watching. In South Korea, a hotbed for golf, but one that’s ultra-expensive to play the traditional variety — the burgeoning simulator industry has been a mechanism for Millennials weaned on video games to become enamored with a sport many likely would not have remotely considered as a possibility. But, the most vexing of issues for golf is whether the sport can continue to attract those who don’t have the deepest of pockets. Golf’s ascension came about through a convergence of key elements in the 1960s — a growing middle class, the emergence of a dashing sportsman named Arnold Palmer and the role of television in concert with a personal desire to have a connection to the outdoors via a game that fostered networking with people. There is a very deep risk golf will retreat — going back to a time where only the most affluent remain active with the sport. It’s been said time and tide wait for no man. The same can be said for the golf industry. The clear economics of today speak to this in a loud and clear voice. Rigidity and timidity can no longer be the game plan. The outcomes are not etched in stone but the realities are clear. Growing the game is no longer a slogan but an indelible act of necessity from which all prescient stakeholders are positively embracing. The remaining others had best heed the wake-up call or be swept aside. It is this new reality that those who left Orlando last week will squarely be facing. Shaping a sport for the balance of the 21st and not the 20th century. Golf was slow out of the gate but the resolution to engage a wide variety of ideas is a healthy sign. For any patient to get well — there needs to be a clear admission something is amiss. That reckoning is now front and center. Will such efforts be successful?